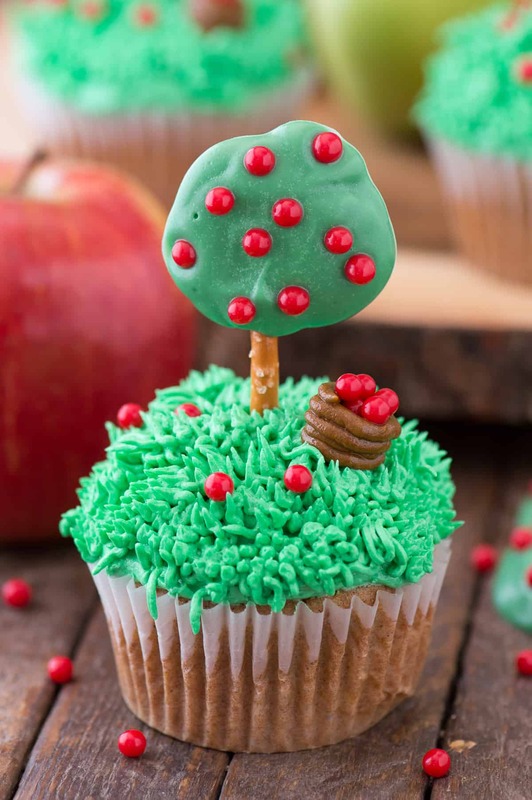 These are the cutest fall apple tree cupcakes! 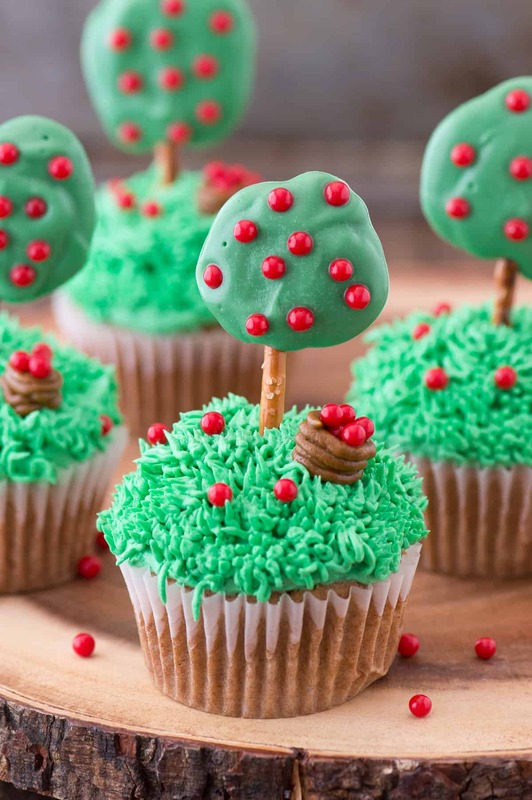 You need a few supplies to transform these apple spice cupcakes into apple tree cupcakes! We haven’t made it to the apple orchard yet, but, I’m thinking about skipping the apples and going straight for the pumpkins! I started to do some fall decorating, we’ve been turning the fireplace on and lighting candles. I’m excited about fall weather now, but I’m sure I will be over it come mid October. 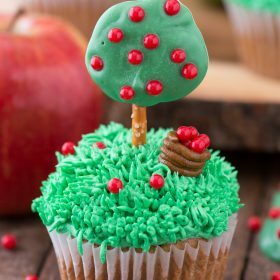 These apple tree cupcakes start with an apple spice cake cupcake – and get jazzed up with buttercream and the apple tree pops. You’ll want to start by making the apple tree pops. You’ll need pretzel sticks, green candy melts, and red ball candies. 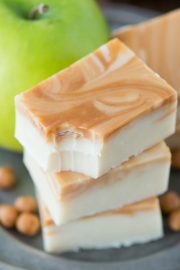 Watch the video below to see a visual of how to make them. I recommend using a silicone baking mat, that way once the green chocolate hardens, you can just peel them off the mat. 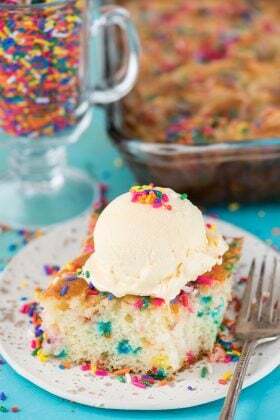 Before you color the buttercream, you’ll want to portion a small amount into a separate bowl so that portion can be colored brown and the rest can be colored green. If you don’t want to add a brown apple bucket to your cupcakes, you don’t need to split the buttercream. 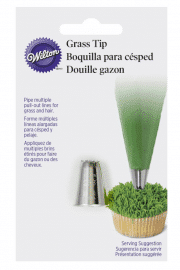 To make the grass effect on top of the cupcakes, add wilton kelly green food coloring to the buttercream and transfer the buttercream to a piping bag fit with a grass piping tip. 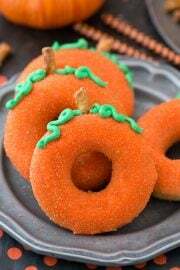 For the apple bucket, color a small amount of buttercream brown and transfer the buttercream to a piping bag fit with a small round piping tip. 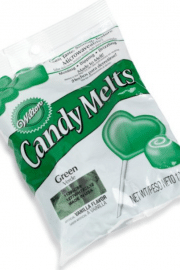 Melt the green candy melts. Place pretzel sticks on a baking sheet lined with a silicone baking mat. Spoon the green chocolate over the tops of the pretzels then add a few red ball candies to each tree. 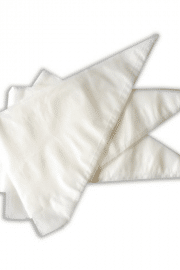 Allow them to harden completely before removing them from the mat. 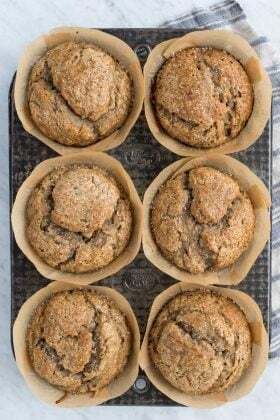 Preheat the oven to 350º F. Line a muffin pan with 8-9 liners. 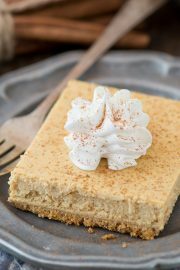 Use a cookie scoop to divide the batter among the liners, bake for 13-17 minutes or until a toothpick inserted in the center comes out clean. Allow the cupcakes to cool completely. Begin to add the powdered sugar, about 1-2 cups at a time, mixing by hand first, then with the electric mixer. Continue adding powdered sugar until the frosting tastes good to you. Reserve a small amount of buttercream to color brown. Add kelly green food coloring to the remaining buttercream, mix until combined. Transfer the green buttercream to a piping bag fit with a grass piping tip. 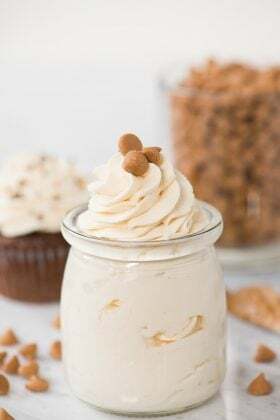 Add brown food coloring to the small amount of reserved buttercream, mix well, and transfer to a piping bag fit with a small round piping tip. 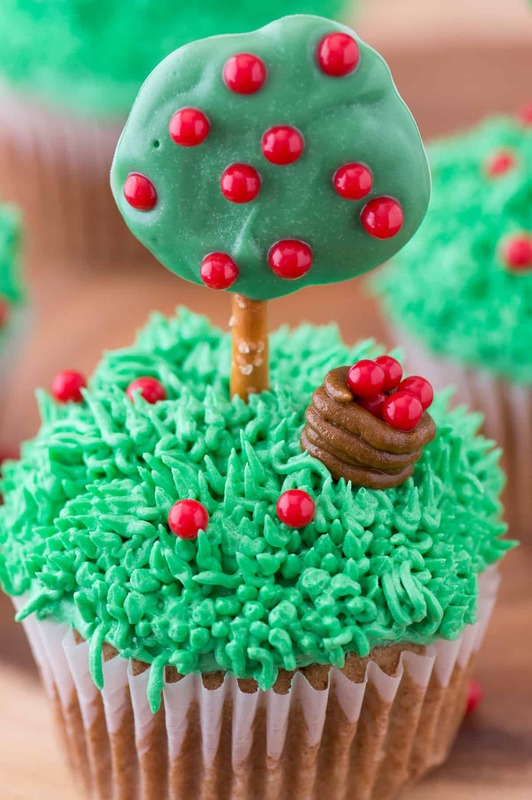 Pipe grass on each cupcake, add a few red ball candies to each cupcake, and place an apple tree pop in the center of each cupcake.